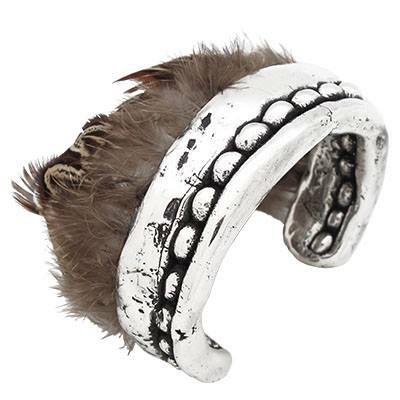 Bracelet silver pure open, with natural feathers. Dimensions: 21mm wide silver. 57 mm internal diameter.